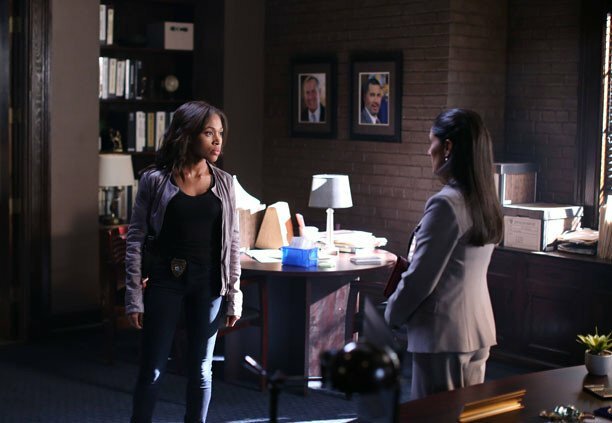 While Ichabod is busy cooking up a new plan, Abbie heads off to meet the new sheriff in town. Sheriff Riaz is all we had thought of her and more. She wishes to bring sanity back to the town. And mentions that she knew Abbie’s mother once, “Good people bad luck? I heard your mother say that once,” states the new sheriff. She not only knows Abbie and Jenny’s mother, she seems to remember her quite fondly. The Kindred, is explained in more details than ever in this particular episode. The coven, which included Katrina, helped create a creature, from the strongest limbs of deceased soldiers. Benjamin Franklin combined these pieces and molded the toughest creature, the kindred, which is known to be the one match tot the horseman of death. However, this creature was never raised as they couldn’t find the one essential element, a body part of the horseman of death himself. But unlike those people form the past, the new bunch have that one missing element, the skull of the headless horseman which will make the body, stitched the Ben Franklin, finally be ready to fight off headless. So, Abbie makes the obvious move and goes to the one man who knows location of the skull. 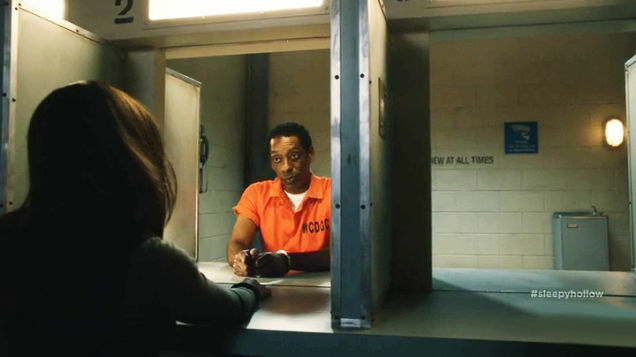 Abbie visits her former boss at jail and Frank Irving tells her that the skull is deposited at the bank. 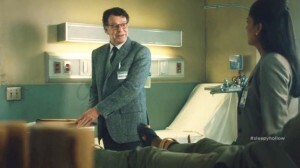 Abbie tells Irving that it would be easier for them to visit him if he was closer to them and that it would be easier to get a permit to visit him at the mental institute, which is also closer. And as I turns out, Irving takes the advice and mentions what he hadn’t before, he mentions that the unholy creature, the demon Ancitif, had killed his co-workers and it wasn’t him. And soon enough, he is put in the Terry Town psychiatric. 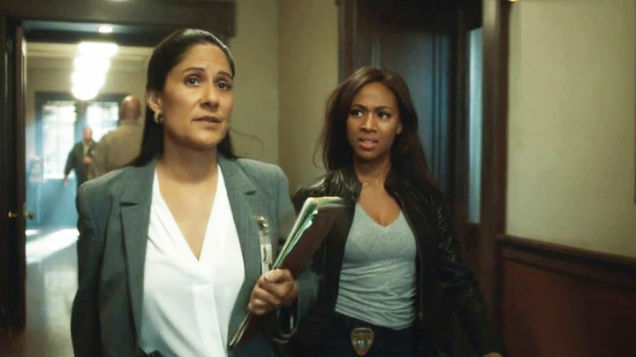 Abbie and Ichabod get the skull form the locker and in the meanwhile, Jenny, who was sent by her sister to fetch arms for their next project, gets caught in her act by Sheriff Riaz. Gets arrested immediately and when the witnesses come to visit Jenny in jail, the sheriff makes it clear that she is not too fond of Ichabod for now. Katrina, still stuck with Abraham, is coping with the situation better than she was earlier. But on the other hand, Abraham is also keen on using differing tactics to get to her. This time he plays the ‘Abbie card’. Headless uses a little brain and mentions how Ichabod let Katrina rot in purgatory for ages and wouldn’t rest until he got his witness partner, Abbie out of the purgatory when she was merely stuck there for a few hours. While headless is toying with Katrina’s mind, the witnesses are busy trying to raise their monster. Just when headless comes to attack the witnesses, the Kindred rises in the nick of time and saves his masters. 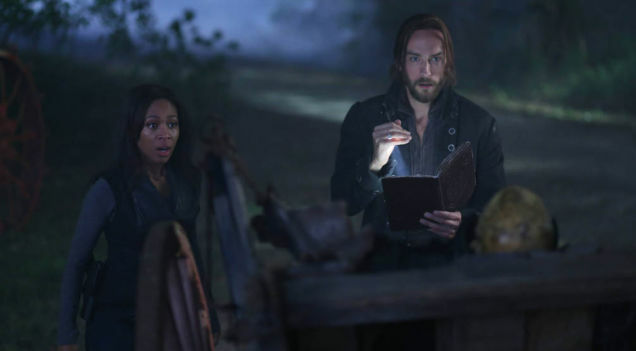 Ichabod tries to rescue Katrina but she tells him that she should rather stay and learn about what the two horsemen were planning and that could help the witnesses stay a step ahead somehow. Ichabod is worried about his wife’s safety in the hands of her former fiancé, but Katrina explains that she had bought herself time by convincing Abraham to let her accept him by her own will. The fight between the Kindred and headless turns more fierce as the Horseman of War (a faceless horseman controlled by Henry) joins in. But eventually, the witnesses manage to escape with their all new monster. 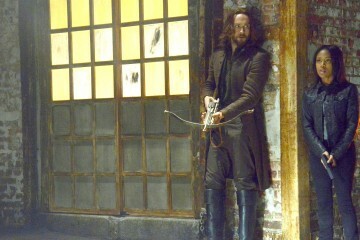 Ichabod comes back and tells Abbie that Moloch was planning to execute a new plan to get his way back into the world. Jenny is stuck in jail, as Abbie says, she took one for the team. Irving is stuck in the psychiatric but to his rescue (or so he thinks) comes a lawyer, assigned by Irving’s wife, apparently. He makes Irving sign confirmation papers but in the process a pin stuck to the pen causes his finger to bleed. As a result, Irving has ended up signing a blood bond.